Offering you a complete choice of products which include black pepper sorting machine, white pepper sorting machines, white pepper sorting machine, dhaniya sorting machines and methi sorting machines. Can be able sort accepted Black colour pepper from the rejection White Colour pepper. We are the most trusted name in the industry offering a wide assortment of White Pepper Sorting Machines. Our offered products are made with superior quality material for high durability and efficiency. These are recommended for the bother free execution and robust structure appropriate to carry out heavy duty performance. 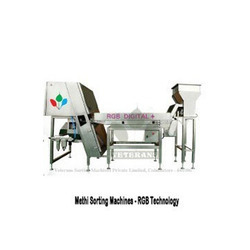 This sorting machine can be customized as per the specifications of our clients. Can be able to sort Black & White pepper separately, Black Brown pepper separately to make grades which will give better price for suppliers. 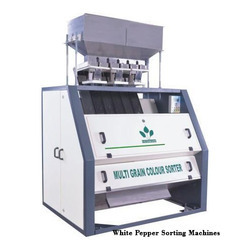 Being a noteworthy organization, we are offering a wide range of White Pepper Sorting Machine. 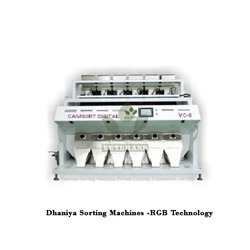 Our offered sorting machine is widely appreciated by the clients for its varied quality attributes. The provided sorting machine is manufactured by our proficient professionals by using premium quality components and sophisticated technology in adherence with industry norms. Used in food processing industry, this sorting machine is tested against different quality parameters. Can be able to sort rat waste from the input material and we can sort brown colour and yellow colour separately.